Because I have learned it is also a series of losses that you are forced to grieve month after month. It’s almost like a grave that keeps following you around as it grabs your hope and buries more and more of your dreams with each failed cycle. It’s a fierce battle between your hope, your faith and your circumstances. A battle you must fight to win every day. And a battle that is exhausting. Infertility is letting your hopes soar for a few days or weeks, anticipating that surely this time, you will become parents. But to only have your hopes plummet as you watch your dreams die with yet another negative pregnancy test. It’s going from shock after seeing only one line. To denial as you find yourself running throughout the house searching and squinting for the other. All the while bargaining with God to make the impossible possible. And it’s while bargaining with Him, you become angry as you realize that He can, yet He hasn’t. And possibly won’t…at least this time. It’s getting passed the feelings of anger and finding yourself depressed as you cry over the death of your dreams for that month. And it’s only after hours or even days of mourning the loss of what you had hoped, that you start to accept that this month was once again not the one. And so then comes the daunting task of picking yourself back up and starting all over again. Maybe with a little more hope or maybe not. Either way, your exhausted but ready to fight. Ready to chase after your dreams one.more.time. It is watching your life be put on hold. Or even pushed backwards. It’s letting go of the plans you once had, for new ones that make you cringe. And cause your stomach to be sick. It’s wondering if you have been cursed or deemed unworthy to be called mommy. Or punished for some past sin. 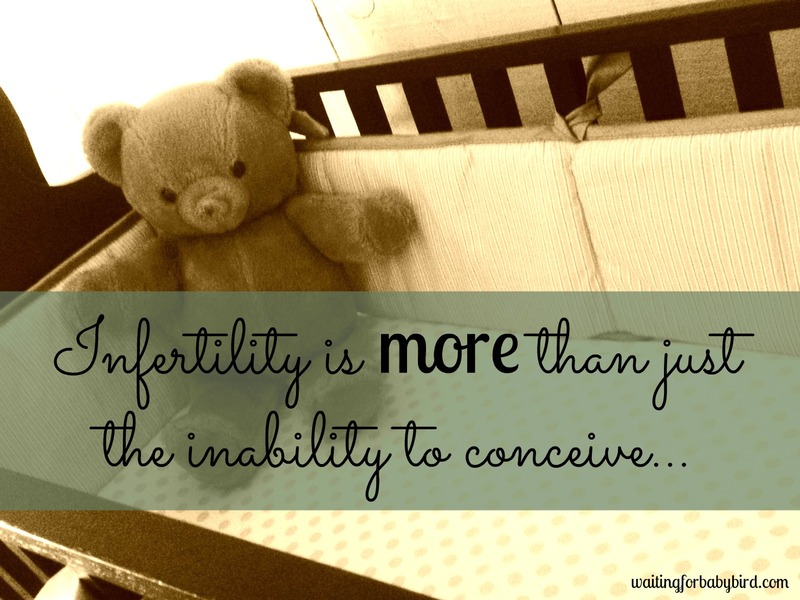 Infertility is a disease. Yes, a disease that often times makes you feel different. Alone. Insecure. Embarrassed. Forgotten. Broken. And Overlooked. It makes you avoid the ones you love and doubt the God you serve. It suffocates your hope. Weakens your faith. And steals your joy. It makes you feel helpless as there is little you can do to change your condition. And if there is? You have tried it. It’s sadness and emptiness as you walk by the bedroom that should be a nursery. It’s loneliness as your house is quiet and absent from the pitter patters of tiny feet in the morning or giggles from bath time at night. It’s frustration that leads to desperation as you try every vitamin recommended, test suggested, treatment procedure offered, medicine given, and diet instructed. 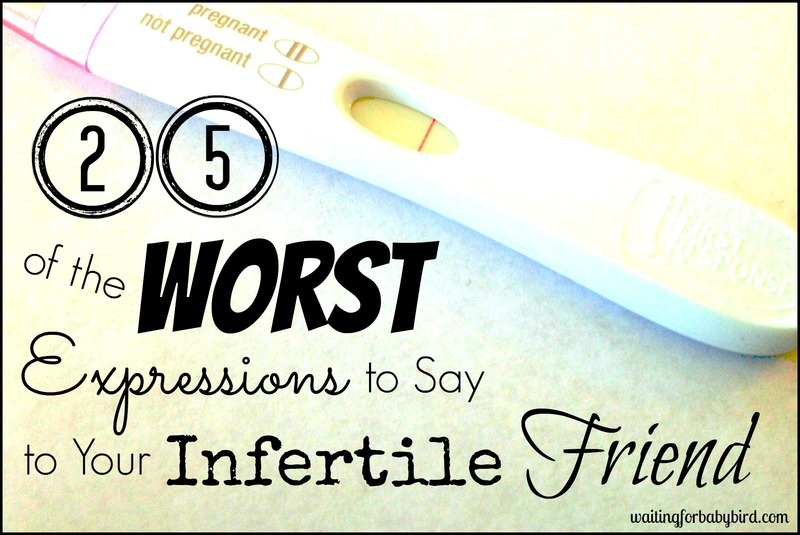 Infertility is desperately longing to be pregnant. Wanting to know what it feels like to have a life growing inside of you. A life that has your eyes and his smile. A life that you created in love. It’s dreaming of the day you are able to watch your husband’s face light up when he feels them kick for the first time. Or show off every ultrasound picture to even the sweet cashier at the local grocery store. It’s wishing for the day you have a newborn lay on your chest as you frantically count their tiny fingers and wiggly toes. But it’s also worrying and being scared to death that this dream might never happen. It’s breaking down and purchasing the blanket…that one soft blanket you absolutely fell in love with in the store. And it’s bringing it home and holding it up to your cheek while laying in bed and wondering. Wondering if it will ever be used for something other than to soak up your tears every night. And it’s more than just the inability to conceive. But sweet sister, can I just whisper hope into your ear today? Can I encourage your heart for just a second? Because the pain you feel, the dead-end roads you have faced, and the dreams you have buried with your tears? They are all ingredients for the miracle you have been praying every night for. I know…it sounds crazy, right? But if you hadn’t noticed, there is rarely ever a miracle without first the overwhelming pain of a problem. A problem that is full of heartache and frustration that causes tears, sleepless nights, disappointments and intense grief. So hold on. Don’t become too discouraged after another failed cycle. Or allow fear to creep into your thoughts that you will never be a mother. Instead, have hope. Hope that things could change. And then mix it with faith. Faith to believe they will. Because I can’t help but think your problem and my problem is simply creating the perfect breeding ground for a miracle. A miracle that God has proven time and time again He can and will perform. I would love to get connected with you on a more personal level, so if you liked this post, pass it on and then click here to find Waiting for Baby Bird on Facebook. Or come follow me on Instagram at @waitingforbabybird. I can’t wait to “meet” you! 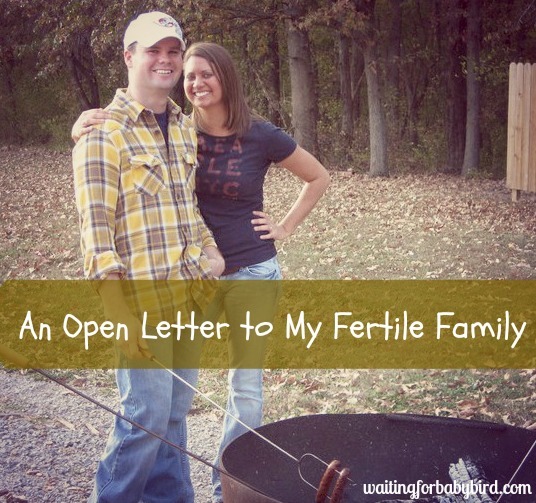 I’ve been reading you for a while since I also have PCOS and have struggled with infertility. I can understand relying on God and trusting in him but I’m also reminded of The Parable of the Flood. God can give you many different ways to become a parent and he gave you science. For me, not taking an active part in my infertility would be something against God. Thank you Sarah for commenting so that I can hopefully further explain my situation. But I must ask…who said I was not taking an active part in my fertility? And I agree God can give many ways to become a parent. For those who are adopting…getting that match phone call is a miracle because maybe they have been waiting for years. There is the miracle in finally having a 5th round of IVF working. There is the miracle of a 8th IUI finally bringing home their rainbow baby. I never limited to what a miracle was…I said the miracle they have been praying for. Also, just because science works for you or my best friend (which it does) doesn’t mean it works for me. The medicines did not deal well with my body. I had more complications with them than without. And I don’t have peace at this time using them. Even my doctors thought my body didn’t respond in a healthy manner. But that doesn’t mean others do not. We are all different. Our bodies are all different. I am just choosing to try and manage my PCOS through diet and exercise. Does that make me wrong in my approach to become a parent? I don’t think so. Just like I don’t think it is wrong for someone else to use medicine. Also, I do use medicine…I use Metformin to help possibly with the insulin resistance and ovulation. I just stumbled on this blog. My husband and I longed for children and I was diagnosed with PCOS. With the help of fertility drugs we conceived our twins after 11 years of trying. I went on Metformin and conceived my youngest without fertility drugs. I call him my Hannah baby. Infertility is difficult and trying. Without our faith in God I don’t know how we would of made it through those difficult years. I applaud your efforts to control your PCOS with diet and exercise. I went through 7 years of fertility treatment that did not work UNTIL I lost weight and took control of my diet and exercise..then all the shots and triggers weren’t needed…a simple round of clomid did it! The PCOS is your enemy and it must be defeated…don’t feed it carbs!. It makes the biggest difference, and I hope it works for you, too! 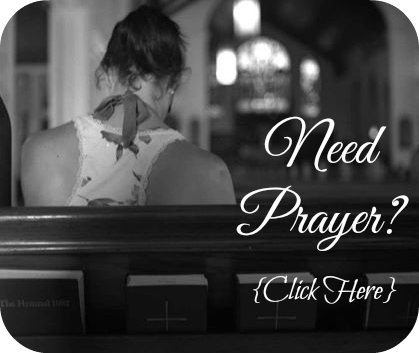 Prayers your way and hopes for sticking with your health plan..I know it is hard..I am still struggling with it so I can keep my health well enough to be around as long as possible for my kids, since I got started a decade later than I planned. My heart feels for you! Thanks so much for your incredible support and encouragement. It is so hard to avoid the carbs but you have given me so much encouragement to keep going and sticking to it. So thank you! It means more than you will ever realize. Maybe I misunderstood what I’ve read. I understand you’ve gone through different treatments and they’ve fail. You believe you heard God speak to you and told you to stop treatments etc. PCOS is hard to manage. Diet and exercise don’t always work. I guess my thinking is not just trying one thing and there is not one path to parenthood. There are so many ways to become a parent why get “stuck” going one way? I understand what you are saying and I fully believe that God has different ways for us all to achieve parenthood. I believe that for me, He has chosen for me to not seek treatments. But that may not be the case for everyone. My body did not do well with the meds. It caused a lot of side effects that I could not manage. But that is not the case with everyone’s bodies. For me, diet and exercise has worked much better in consoling my insulin and high blood pressure associated with pcos far better than all the medications I have been on. Once again, this is not the case for everyone. This is the case or me. Also, I don’t see myself as trying one thing. I first tried treatments and now I am trying diet and exercise along with some medicines they have prescribed. Because I am a mommy of 1 child, I often times feel guilty about getting upset when yet another cycle goes by with another negative test. It did take me 22 months to become pregnant with my son and we are now going on 16 months waiting for #2. Sometimes the grief is overwhelming and I feel very alone. I am trying to hold out hope that the Lord will bless me with the desire he has placed on my heart, but some days can be harder than others. As always, thank you for your honesty and openness and for saying the words that I always seem to be feeling. Sarah, please know that you are not alone. The grief and pain you are experiencing are real and valid. I have a child and have been trying for two years for baby number 2 (with 2 miscarriages along the way). 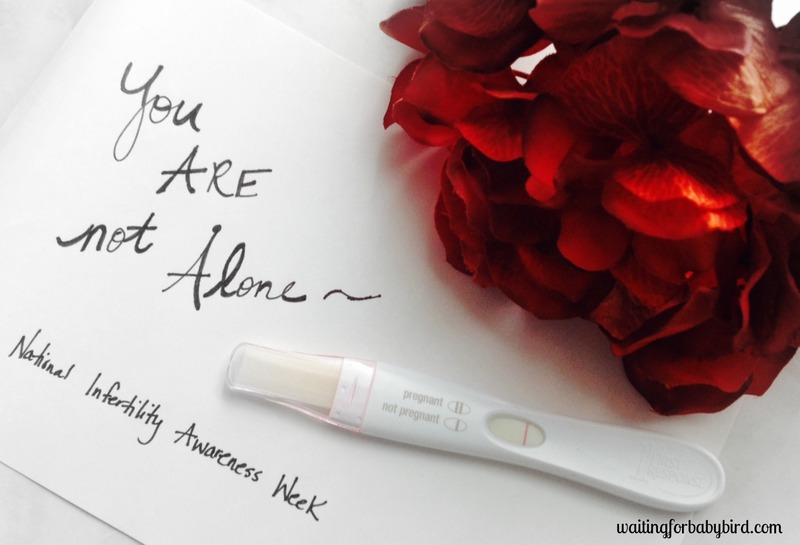 Secondary infertility can be a lonely road to walk because not only is it less common than general fertility but it can be difficult to find a support group who understands. Each month that passes is not only a month that I’m not pregnant but a reminder of the increasing age gap between my son and a future sibling. This loss has been hard – the dream of children close in age. My son has begun asking for a brother or sister to play with. It’s heartbreaking and I so wish I could provide him with a sibling. There’s also something about having a child and feeling that deep bond. I think it’s natural to desire this with a second child. Please know that you are not alone. I hope and pray that your miracle arrives soon. Thank you so much Jo for responding and providing so much support and encouragement! You are awesome! So when did you start reading minds? One of your many talents, I’m sure. I know all of these things so well. And I weep at the paragraph of “pleading with God.” Because my flesh so desperately desires a “yes,” but my heart has been praying for just an answer – His answer! On my lowest days, He always reminds me He is here. This morning on my way to work, you came into my heart and I prayed you were doing ok and that I would get an email from you. And what do you know, I got one! My prayer answered. Thank you for your words of encouragement and reminder that God is a miracle worker. 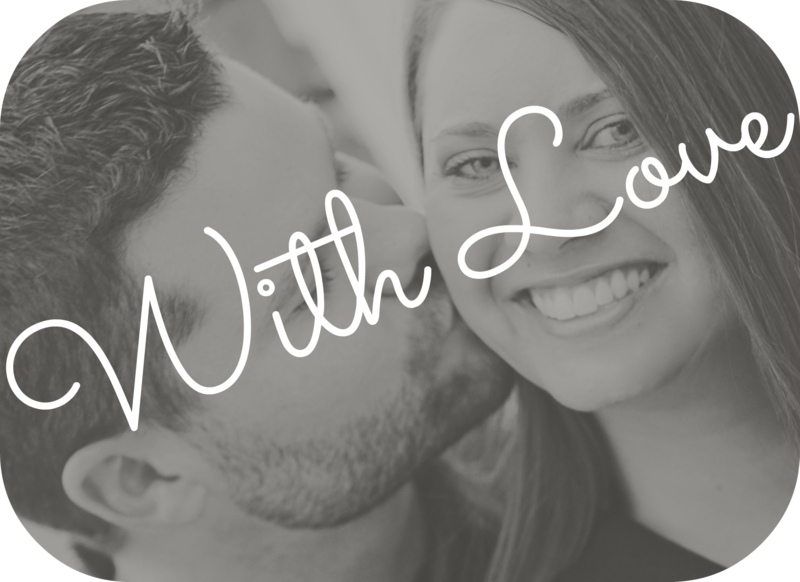 I’m always so thankful that after I read your posts, not only am I encouraged in my infertility struggle, but more importantly it turns my eyes back to Him. Thank you again! I can only imagine how wonderful your treasure will be in heaven one day! awe thanks girl! You are always so sweet and encouraging! So much of what you shared today resonates with me! I know we come from different religious perspectives, but I love that your words speak to me and encourage me even through our differences. In my opinion your words about hope, sadness and living (or not) through infertility cross all religious boundaries. And there is something in these words that will motivate any women to keep moving forward. And maybe even more important, or at least equally important, your words today let others know that they are not alone in this struggle. Those were much appreciated sweet words:) Blessings!!! Awe thanks girl! But I don’t feel like I captured it fully. It’s so hard sometimes to put into words what is in your heart. Your posts touch me so deeply that I always shed tears ready them. Your gut wrenching and brutal honesty is something I know too. I have a 7 year old daughter who is my world. We have been trying for number 2 for 6 years now and it doesn’t get easier. I have to remind myself almost daily to give it to God. Keep posting, it’s therapeutic for me and many others. Sharing this amazingly written blog post so others can read and maybe understand just a little bit more of what infertility is like. Reblogged this on uncomfortably optimistic. Thanks for sharing these thoughts!!! It’s true that people don’t realize what goes into it! I remember thinking…this is no bi deal at all…boy was I wrong! I am 25 years old and was married for 5 years. I have PCOS and hypothyroidism. I’ve taken fertility drugs and tried everything except IVF treatments. And I’ve been there, every month when my period would be a day late I’d get a pregnancy test just to later cry myself to sleep. Been the one on the side lines as I watch all of my friends have their 2nd or third child and asked to be a god parent ( I’m now up to 7 god children:) ). I’ve been the one who ask “what’s wrong with me, why can’t I be blessed with a child?” I listen to a lot of parents complain about the sleepless nights and the constant aggravation of no more “time to themselves” and I’m sitting here saying I’d gladly trade places with anyone of them. But now I’m recently divorced, and I look back and thank god for not letting me get pregnant during that time, maybe its a sign that right now just isn’t the time. I desperately want to carry a child, but I’ve accepted the fact I might have to adopt, and I’ve had a couple of friends offer to carry a child for me. So at the end of the day all of those tears I shed, still hurt, but maybe were for a bigger purpose. I still struggle with the hope, but I try to stay positive on my journey of one day becoming a mommy. So much of what you write is in my head….although I must admit I am not able to lean on God as you do. My husband and I have exhausted our options to build a family….the very dream He gave us….but would not fulfill. I do not know how anyone is able to see promise in that. Best of luck to you, though. I’m sure your stronger faith will be rewarded. I ran across this post yesterday, and it really hit home. I’m on my 3rd failed clomid cycle, and its extremely hard to explain to others how it feels. I feel like I could have wrote this, but not quite as well as you! This post is so true to what I’m going through…I want to thank God for you…to keep encouraging others despite the circumstances. May God continue to bless you and keep you. 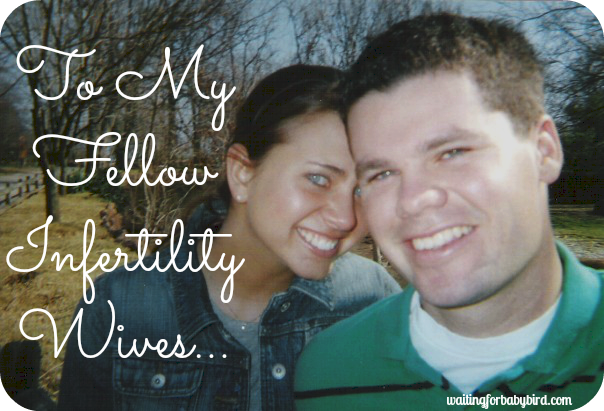 Reblogged this on Tales of infertility ~ my thoughts & ideas!. That was powerful! 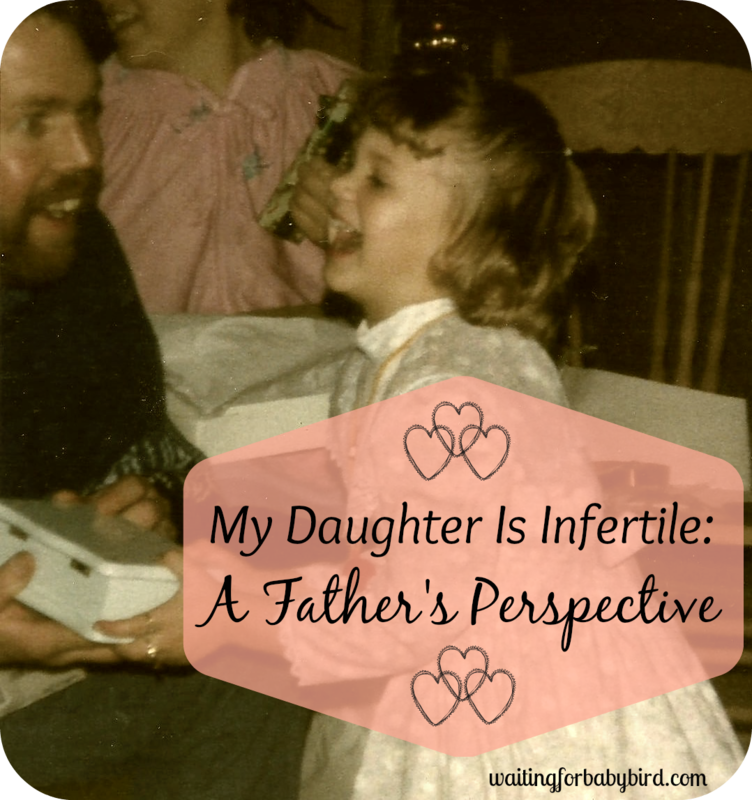 You perfectly described the raw, heartbreaking pain and emptiness that the different stages and experiences of infertility bring. My husband and I have been dealing with infertility for about a year and a half, and while it makes me so sad that there are so many others experiencing infertility, it has helped me so much to read blogs with other women’s perspective and know I’m not the only one. Thanks so much for sharing your story and your thoughts and for your encouragement to have hope and faith that miracles will come from the very situations that we can’t understand. Thank you for this. Thank you so much for putting into words what my heart is feeling. I read the post over and over again because it’s so good. Thank you. Wow, it’s like you know my every thought. Very touching blog post. Now that I’m a foster mom I can go to the park and have a child out there I can call mine, even though he’s “not really” my child. But as I look at the 3 moms around me I see that two are pregnant, one very much so and the other just starting to show. The third mom has a crawling baby in front of us. They talk about pregnancy, and I can understand why it is so forefront in their minds. They talk about nursing, and labor, and above all – being done. They’d all decided this was their last one and they knew it; they would be done growing their families. I tried to distance myself emotionally as I had nothing to add except comments of my mother or of friends. The emotions didn’t hit me for a couple of days, not until I was laying thinking about how much I don’t fit in. I guess in some ways I thought being a foster mom would help. I’ve always wanted to be a part of the mom group, I gotta kid now and that means I can join, right? But a foster kid isn’t a ticket into their inner-circle, and it never will be. In many ways it just pointed out how different I really am. It’s 5 years this month that we started trying. 60 months. 60 times my heart has broken, my faith has been tested, my hope is challenged. But 60 times I have chosen to lift my eyes to my Father in heaven and conceded Not my Will but Thine and deepen my trust in Him to fill the empty places. Each month has its disappointments, but there is Victory each month too, it just doesn’t look as we hoped it would. I just found your blog this week and your words have resonated with my soul. Thank you for sharing your story and your heart. I even had my husband read it, you couldn’t have described infertility more accurately. Praying for your miracle! Alicia i have to tell you that u nailed this post and the feelings and emotions that u go thru when dealing with infertility. I replied to one of your posts before about a year ago on josiah day and i just wanted to tell u to never giv up on your dream ive realized in my journey that even tho we want things when we want them that Gods timing is always perfect i located your blog off of evangelines blog one day when i was ready to finally just accept whatever was gonna happen with my life whether id ever be a mother or not . Beautifully written. After 11 years, I can tell you that it doesn’t get easier, but it can be manageable. I have found those who support me. I have become more open about my situation. I have learned to trust that God’s plan for my life is BETTER than what I had planned. I don’t believe it every second of every day, but I am realizing that, as the years go by, the belief fills more of my time than my sorrows do. One last thing–I never trust doctors–GOD is always in control! Just an opinion, but it’s gotten me through some tough times and allowed me to find things that will help me personally. 🙂 HUGS to all of you gals. I feel like you’ve been walking around in my skin these last few years. I imagine you wrote this through tears as I would have, just thanking God that in your despair you can give someone hope. Thank you for you’re openness. Ms. Elisha, you are someone very special. Thank you for putting my heart’s feelings into words. Blessings.